While General Plastics is best known for the performance of our polyurethane foams, many customers also rely on the efficiency of our production services. They value the savings in cost, time and complexity working with us as their manufacturing partner. With extensive CNC-machining and other production capabilities, we can provide everything from sheet stock material with customized physical properties to a ready-to-install, dimensionally accurate product, molded rigid or flexible foams or even cavity filling pour-in-place solutions that satisfy customers’ specific needs. That also includes detailed source inspections and certified test results. We’re not just here to provide a partial solution – we’re the ideal supplier to solve your entire challenge. General Plastics’ machining expertise and capabilities span the spectrum of complexity and scale. We offer large-scale capacity for converting our polyurethane foam material and other nonmetallic substrates into production parts for OEMs, Tier 1 and Tier 2 manufacturers. 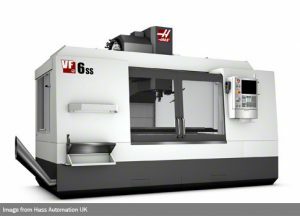 However, unlike traditional machine shops that are geared to strictly high-volume production – load it and forget it, make a thousand of them – we can easily scale to produce one-off tools and parts, experimental prototypes or models. One such project was models of aircraft first-class seat pods. The customer needed seat models made out of material that could last many years in service. Various densities of LAST-A-FOAM® were machined based on customer-provided drawings. In all, about two dozen different parts were produced to specific requirements and tight tolerances to form the support structure of life-size mock-ups of a commercial airline’s first-class area. Our machining equipment ranges from extra-large routers for large-scale projects to CNC vertical milling machines, which excel at intricate details and production work. In addition, our facilities offer non-CNC cutting equipment large enough to accommodate full-size foam buns. This enables us to manufacture large volumes of foam shapes at low cost. Customers benefit from our ability to produce large blocks of foam for projects, such as monolithic tools, that require large pieces of foam to be machined. There would be no need to bond multiple pieces of foam. However, in cases where bonding is required, we won’t have to reinvent the wheel each time because we understand best how to bond foam parts due to our unique knowledge of the foam material. “What’s more, our customers don’t have to drop-ship blocks of our material somewhere else,” explains Operations Manager Jeff Brown. “Entrusting us with the entire job takes extra costs and time out of the equation.” The customer avoids the extra time and transportation expenses of sending parts fabrication, assembly and foam finishing to a third party. Timely delivery is a huge concern for our customers. Once their design is completed and ready to implement, we know they’re on a tight schedule, and need their part right away. “Even when we’ve had short notice, our clients know that we turn on a dime and deliver on the date we promise,” Brown adds. Some complex projects tap a range of General Plastics’ production capabilities. We’ve been working on an impact limiter for the nuclear packaging industry that utilizes our polyurethane foam material and a hybrid of production methods. Based on the geometry of the job, we worked with the customer to design a creative solution to meet their expectations. Some parts were machined to fit into the impact limiter, while others were poured in place. For decades, General Plastics has provided build-to-print parts that are machined to precise specifications. Many of these are for customers in the aerospace or nuclear packaging industries where quality expectations are well defined for both material performance and traceability. Not only do our customers count on us to get the material right and meet their detailed engineering specifications, they know we will get them their machined products on time along with the proper QA paperwork certifying their quality performance. They’ve learned we keep their commitments so they can keep to their schedules. To learn more about General Plastics’ Production Services, call us at 866.825.1378 or email sales@generalplastics.com.